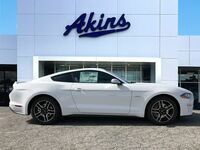 It seems like we say this every year, but this year we think Ford really outdid themselves with the all-new 2020 Ford Mustang Shelby GT500 – which we can’t wait to offer right here at Akins Ford near Athens, GA, this fall. That’s because the 2020 Mustang Shelby GT500 is the most powerful street-legal new Ford model ever created. It’s also the quickest new Mustang ever built by the Ford Performance Team. And, to top it all off, the 2020 Ford Mustang Shelby GT500 is also the most highly technological new Mustang ever engineered. 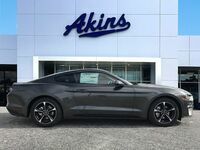 But while that all sounds great – and a whole lot of fun to drive – it doesn’t actually mean anything until you learn about all of the features that allow the 2020 Mustang Shelby GT500 to achieve all of these impressive accomplishments – features like the 2020 Mustang Shelby GT500’s next generation race-tuned active chassis drive modes. But that’s not all, which you’ll soon learn if you keep reading. As soon as we told you that the all-new 2020 Ford Mustang Shelby GT500 is the most powerful street-legal new Ford model engineered, you probably got instantly curious about what you’ll find when you pop its hood. Well, let us tell you one thing above all else – this engine is as fun to drive as you’d expect Ford’s most powerful street-legal engine to be. More specifically, the 2019 Ford Mustang Shelby GT500 houses a supercharged 5.2-liter V8 engine under its hood. This engine features a horsepower rating of well over 700, the ability to accelerate from zero to 60 MPH in about three and a half seconds, and the ability to tackle a quarter-mile run without hitting the 11-second mark. The supercharged engine of the 2020 Mustang Shelby GT500 is paired with a first-in-its-class dual-clutch transmission complete with all-new launch control technology that will take your breath away each and every time you push down on the gas pedal. 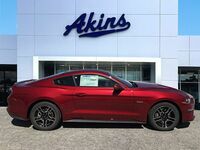 For more on the 2020 Ford Mustang Shelby GT500, please contact our staff here at Akins Ford near Athens, GA.